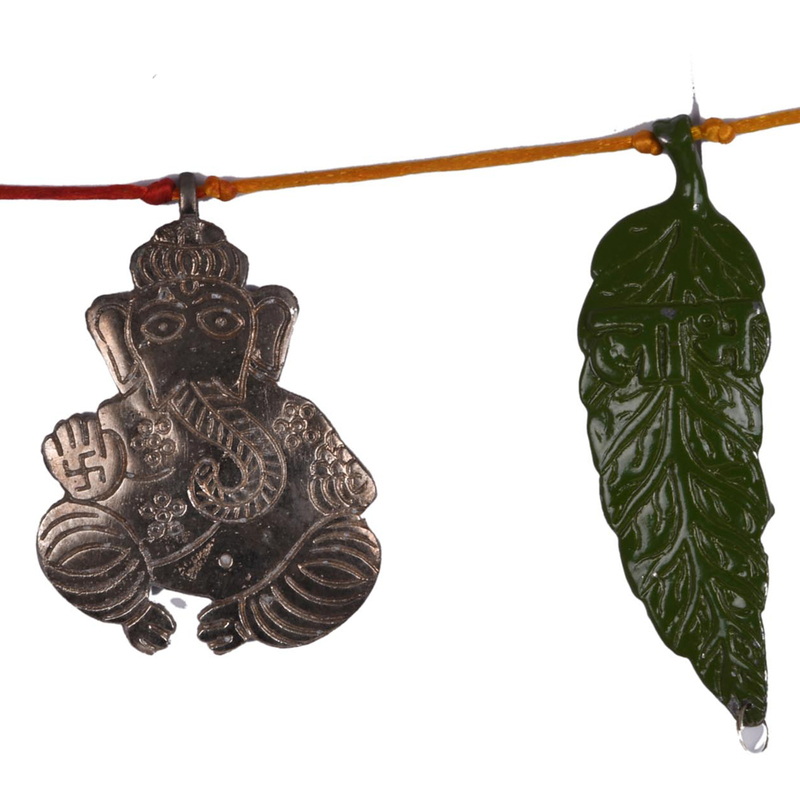 This oxidised metal bandarwal with green leaves give off a very humble, and refined vibes. 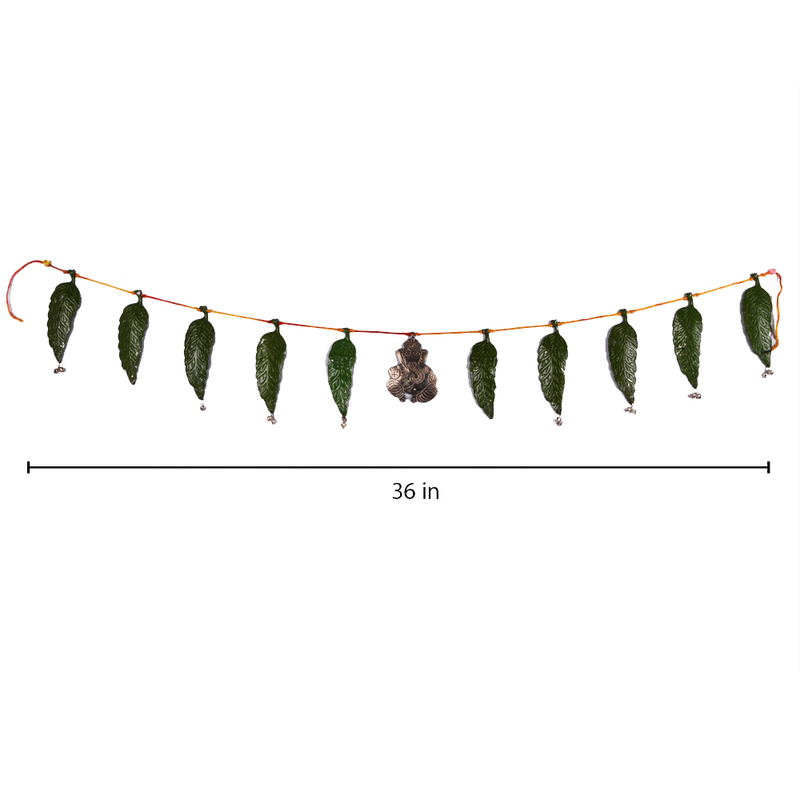 These are a great way to make your doorways, and Read More..your hallways more attractive. They can go with any sort of background and accessories. The green leaves of this bandarwal is make stand out a lot when compared to the plain leaves of regular bandarwal, but even so they do not make the ambience loud. While the leaves are green, the ganesh figure in the centre is coloured in silver hue. Show Less..